Wikipedia’s bureaucracy problem and how to fix it. The legalistic atmosphere is making it impossible to attract and keep the new editors the site needs. The English Wikipedia currently has more than 50 official policies with a word count close to 150,000. “You cannot change your name to MadeUpNick. This name is already taken,” I bluntly explained to the user, who had filled out an application requesting a name change on Polish Wikipedia. Should I tell him or her that there is a separate procedure, allowing usurpation (taking over) of a name? Or maybe even correct his or her incorrectly filed request and resubmit it through this separate channel? Perhaps. But this was not my job. After all, I’m a bureaucrat—one of the highly trusted community elected functionaries on Wikipedia, allowed to change names of other users, as well as grant administrator rights (upon community’s approval). I just enforce the rules; I don’t explain them. Currently, the English Wikipedia has more than 50 official policies with a word count close to 150,000 (enough for a thick book). But that’s just the tip of the administrative iceberg. In addition to the policies, there are guidelines and essays—more than 450 devoted solely to proper conduct. You will also find more than 1,200 essays containing comments on the policies and guidelines, advisory notes, and analyses of the community. The total word count for all guidelines and essays can easily be in the magnitude of millions. It is safe to assume that no one in the world knows them all, and that Wikipedians really wallow in creating norms and regulations. I should know—I am one. But this is madness! With such a massive amount of rules and regulations to adhere to, how is it not absolutely deterring for newcomers to join Wikipedia? Most likely, because they do not even know these rules exist. Counterintuitive as it may sound, in spite of all the regulations, it is perfectly fine and acceptable to just use common sense when editing Wikipedia, relying on one’s best judgment on how to make it a better encyclopedia. While Wikipedia has many elements of a bureaucracy, it is not governed by statute: it is not a moot court, and rules are not the purpose of the community. … Do not follow an overly strict interpretation of the letter of policy without consideration for the principles of policies. If the rules truly prevent you from improving the encyclopedia, ignore them. Unfortunately, all these declarations of easy-spiritedness often get knocked over in practice. Ironically, the rule to “ignore all rules” has several advisory essays and additional interpretations describing when it can be invoked. Similarly, there has been a significant increase in proceduralization of conflict resolution—formal mediation and arbitration are now available—as well as in procedures for all common tasks on Wikipedia, such as deciding about notability, deletion of articles, etc. Perhaps as a side effect to advancing formalization, the increase in informal but practically enforced requirements to become an administrator—the most common functionary of Wikipedia—is huge. For instance, the average edit count of a successful candidate for administrator has stayed around 10,000 edits since 2008. Prior to 2008, the number was about 2,000. The success rate of being elected has dropped from nearly 80 percent in 2004 to about 36 percent now. Unsurprisingly, the number of candidates for administrators has been falling steadily since 2007 by about 40 percent per annum, the retention of new editors is declining (only about 15 percent of newcomers remain active after a year), and the overall number of active editors is dropping as well. Fixing these problems—but not be establishing yet more guidelines and procedures!—is a must, because the long-term stability of Wikipedia is at stake. Third, it should not be surprising that in any population, there are people who feel better in a highly regulated context. Even though they probably do not form a majority of Wikipedia contributors, their preferences are reflected in actions. Each procedure that is approved on Wikipedia makes sense on its own, so most new rules are not vigorously opposed even by those who prefer a more flexible environment. As a result, there is a natural growth of regulations, while no one focuses on their reduction. This last reason may lead to a workable solution. 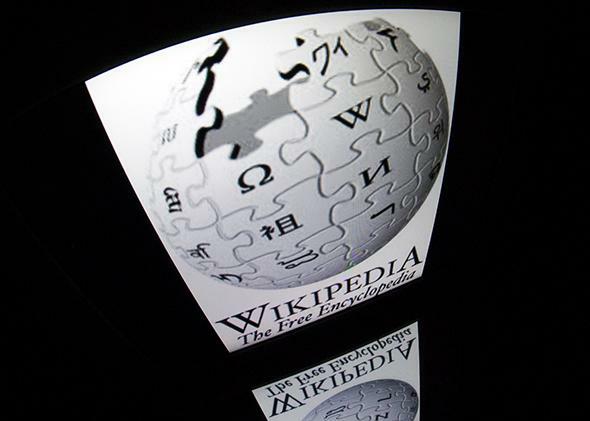 Just as there are established ways to create new rules, and there are specialized functionaries dedicated to eliminating vandalism, Wikipedia may need a specialized, volunteer-driven, trusted task force, working to eliminate the bureaucratic creep. Whether elected or self-nominated, these editors would attempt to reduce the number and length of communal rules, as well as to simplify them and delete the ones that have gradually become obsolete. Granted, such simplification is already possible through general discussions and requests for comments. However, establishing a new group of users, with such a specific task assigned, would change the framework dramatically. A lot of their efforts would go to reducing and better categorizing existing regulations. They could also help by making it clear which rules are most important, as currently the distinction among policies, guidelines, and essays is very fuzzy. For instance, violating some policies may not result in any consequences (e.g., the verifiability policy), while breaking the norms covered in “just an essay” documents may lead to being blocked (e.g., an essay on tendentious editing). Ideally, there should be a guardrail for a maximum number of policies, and a fixed number of additional specialized regulations for editors to follow, with a firm word-count limit as well. A bureaucracy-busting squad of Wikipedians, who actively use and educate about the “ignore all rules” rule, should be recognized and commended within the community. The energy spent on bashing the newcomers, and patronizing them about the regulations, would be much better spent on helping them see the joy and beauty of creating new content on Wikipedia. If Wikipedia really needs administrators, bureaucrats, stewards, checkusers, mediators, arbitrators, and oversighters (all of these roles and more do currently function on Wikipedia), it definitely could use a separate role of “bureaucracy cutters,” too. It is true that it is sort of funny and perverse to try to fight bureaucracy with creating a new formal role. But the beast has grown too big to try any other way—and Wikipedia is too big and too important to let it gradually die out, stifled by overformalization.